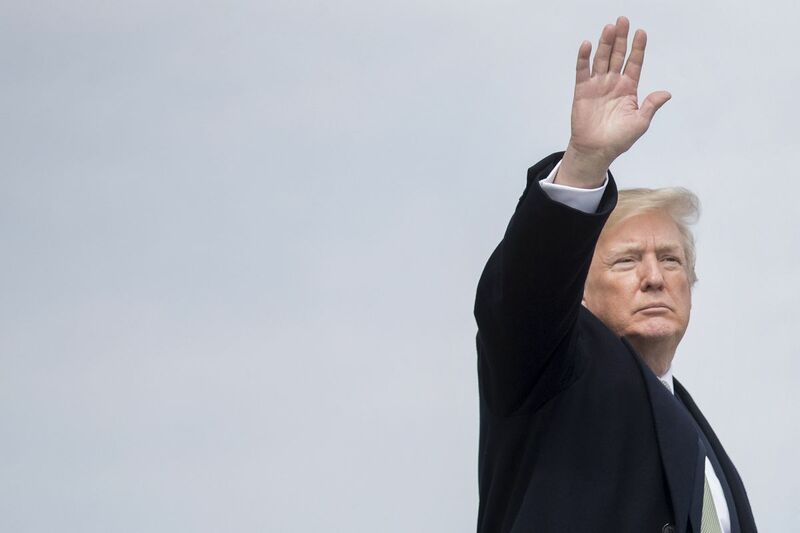 President Donald Trump’s direct assault on Robert Mueller over the weekend renewed fears he’s preparing to fire the special counsel as Republicans mostly remained silent on the threat. Just a few Republicans strongly warned Trump against firing Mueller -- Senator Lindsey Graham of South Carolina said it could lead to the end of Trump’s presidency. Most avoided taking a stand. The lack of clarity from the majority party in Congress about potential repercussions may embolden Trump, who last week fired his secretary of state, Rex Tillerson, and is said to be contemplating a bigger shakeup of his Cabinet and inner circle. The president’s attacks on the FBI, the Justice Department and Mueller’s investigation into Russian election meddling -- and whether anyone close to Trump colluded in it -- channeled a long-running narrative on conservative news outlets. On Sunday evening, White House lawyer Ty Cobb issued a statement saying Trump “is not considering or discussing the firing” of Mueller. But Trump already had made clear his growing impatience at the special counsel and his probe. He continued to do that on Monday morning, saying in a tweet: “A total WITCH HUNT with massive conflicts of interest!” Read more: A QuickTake explainer on Trump’s firing power In a series of posts over the weekend, Trump was more specific, criticizing Mueller by name on Twitter for the first time, saying his investigation is corrupted by political bias. ‘Hardened Democrats’ “Why does the Mueller team have 13 hardened Democrats, some big Crooked Hillary supporters, and Zero Republicans? Another Dem recently added. does anyone think this is fair?’’ Trump tweeted earlier Sunday, using false information. “And yet, there is NO COLLUSION!’’ The tweet -- which failed to acknowledge that Mueller is a longtime Republican -- followed a statement by Trump’s personal lawyer, John Dowd, calling for the Justice Department to shut down the investigation into potential collusion. Dowd, who said he wasn’t speaking on behalf of Trump, argued that the probe should end in light of “recent revelations,’’ including the Friday night firing of former FBI Deputy Director Andrew McCabe. Trump celebrated McCabe’s dismissal, which he had called for, saying it showed evidence of a broad conspiracy against him. In his statement Saturday, Dowd said, “I pray that Acting Attorney General Rosenstein will follow the brilliant and courageous example of the FBI Office of Professional Responsibility and Attorney General Jeff Sessions and bring an end to alleged Russia Collusion investigation manufactured by McCabe’s boss James Comey based upon a fraudulent and corrupt Dossier. ’’ Read more: Sessions Fires FBI’s McCabe Right Before He Was to Retire Any move to oust Mueller would ignite a political firestorm in Washington. Democrats have warned of a constitutional showdown, and Republicans are worried it could damage their prospects in this year’s midterm congressional elections. Yet Trump spent the weekend assailing an investigation that has secured guilty pleas from three of his campaign associates and the indictment of a fourth as a “WITCH HUNT!” Republicans lawmakers haven’t expressed much concern to the White House about such attacks, according to Marc Short, Trump’s director of legislative affairs. “I’ve not heard a lot of outcry from Republicans,’’ Short said on CBS’s “Face the Nation’’ program. Opposition to the president is politically perilous for most Republican lawmakers because of Trump’s popularity among the party’s voters. The strongest Republican response to the attacks on the Mueller probe from Trump and his lawyer came from Graham, who repeated in a CNN interview his warning from last year that firing Mueller would be “the beginning of the end of his presidency. ” Ryan’s Standing Position Few Republicans joined in. Most ducked the issue while at home over the weekend, though House Speaker Paul Ryan’s spokeswoman, Ashlee Strong, reaffirmed his standing position that the probe should continue. “As the speaker has always said, Mr.
Mueller and his team should be able to do their jobs,’’ she said Sunday in a statement. Ailing GOP Senator John McCain defended Mueller on Twitter, praising his “honesty and integrity” and saying it’s “critical” the investigation continue “unimpeded. ” Other Republicans appearing on Sunday talk shows also warned against firing Mueller, but, like Ryan, without saying what they’d do if Trump acts. Representative Trey Gowdy, chairman of the House Oversight Committee and a member of the Intelligence Committee, dinged Dowd, the president’s lawyer, for calling for the investigation to be shut down. “If you have an innocent client, Mr.
Dowd, act like it,” he said on “Fox News Sunday. ” But asked what the House of Representatives, which has the power to bring articles of impeachment, would do if Trump fired Mueller, Gowdy said “I’m not sure the House can do a lot. ” Legislation Stalled Senate Majority Leader Mitch McConnell didn’t comment. The Kentucky Republican said in January he saw no need to act to protect Mueller because he knew of no official effort to undermine the probe. Without McConnell’s backing, bipartisan legislation designed to protect Mueller from dismissal has stalled so far in the Senate Judiciary Committee. Democrats sounded the alarm and implored Republican colleagues to speak out. “Every member of Congress, Republican and Democrat needs to step up in defense of the Special Counsel. Now,” tweeted Senator Mark Warner of Virginia, the top Democrat on the Intelligence Committee. “Our GOP colleagues, particularly the leadership, have an obligation to our country to stand up and make it clear that firing Mueller is a red line for our democracy that cannot be crossed,” said Senate Democratic leader Chuck Schumer. Firing Mueller would be a messy process in any case because Trump can’t remove him directly. Deputy Attorney General Rod Rosenstein, who appointed Mueller, has overseen the probe since Attorney General Sessions recused himself. If Trump ordered Rosenstein to fire Mueller and he refused, Trump could fire Rosenstein. That would put Solicitor General Noel Francisco in line to oversee the investigation -- and decide on Mueller’s fate. The probe appears to be focusing more directly on Trump himself. Mueller recently gave Trump a list of avenues for questioning ahead of a possible interview with investigators, the New York Times reported. Mueller has also reportedly subpoenaed Trump’s business for Russia-related records. — With assistance by Shannon Pettypiece, and Chris Strohm.